The rare little oribi is typically only hunted by serious African trophy animal collectors. The oribi is a small antelope, very similar in appearance, but slightly larger than the steenbok. He is rusty brown in color with a white throat and belly, having a few white spots next to the nostrils and above the eyes. 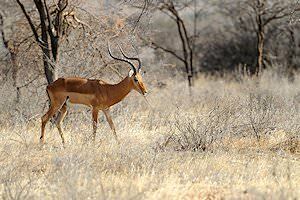 The tail is black on top and white on the bottom, distinguishing him from the steenbok which lacks the black on the tail. Found mostly on the plains, only the males carry horns, which are straight but tend to bend slightly forward at the tips. Ewes lack horns, but tend to be slightly larger than the ram. Normally a solitary antelope, the oribi sometimes form family herds of up to 12 individuals. 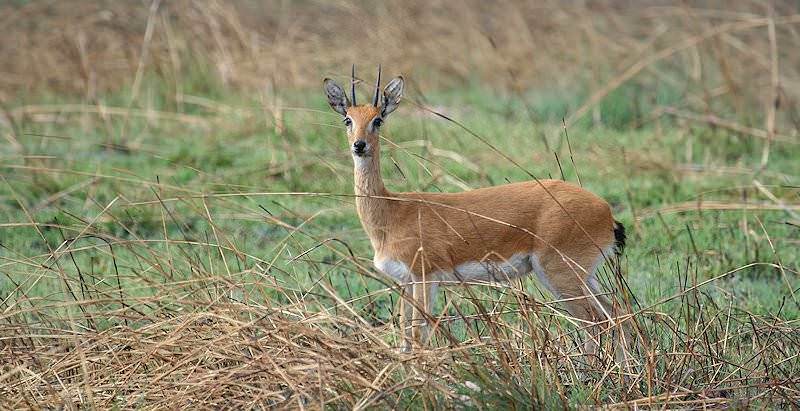 The oribi prefers to graze when it is cool, so hunting oribi will probably be best during the early morning and late afternoon. 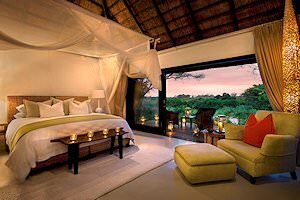 Laying up during the heat of the day, when alarmed, the oribi will jump up and run away in a bouncing fashion. Being inquisitive, they often stop after a suitable distance and turn to look back or even walk back; there is his mistake, and there is your shot! When hunting oribi, you will not need a 'lot of gun'. Because this little antelope is another of the plains dwellers, shots may be taken at some distance. One of the flat-shooters will be the ticket here. Choose a caliber firing a bullet of at least 120 grains at a muzzle velocity in excess of 2600 fps. The 257 Roberts, 25-06 Remington, various 6.5mm's, and the 264 WinMag would all be excellent choices. The .270 and 7mm's will also work quite well. Consider a scope of 6X or better, as the shots can be quite long. If you are hunting meat, the side-on lung shot is recommended; aim just behind the shoulder. If you are hunting oribi for the trophy, rely on the high heart/lung shot, straight up the foreleg about one third into the body and squeeze. 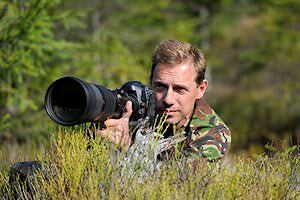 Because of the distances involved and the animal's relative size, head or neck shots are not recommended and best left only to the professional “culler”.